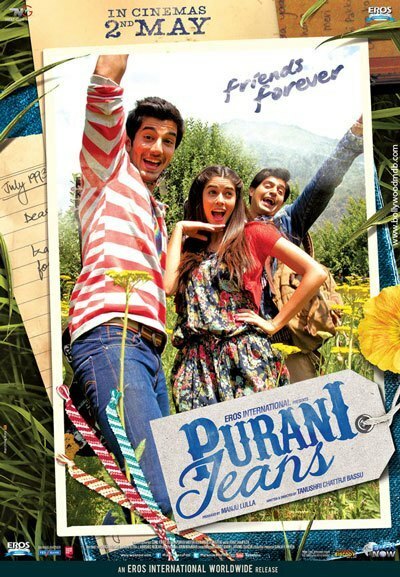 Good stars may brighten Purani Jeans' business! What else? Read on! Based on the analogy of a good old pair of jeans – 'the older it gets, the better it becomes', the movie Purani Jeans features a coming-of-age story about a friendship between the main protagonists of the movie and their gang. It features the story of a young boy who returns to his native place, a move that not only leads to revival and strengthening of old friendships and bonds, but also opening up of many past wounds and buried memories. Will this movie manage to rake up the raw emotions of the viewers? Will people be able to connect to this Bollywood story of fun, laughter, trust and betrayal? Ganesha takes a look at the Release Time Chart of the film Purani Jeans to predict the way ahead. Ganesha observes that the film Purani Jeans is releasing with Gemini Ascendant. There will be four planets in their sign of exaltation when the film will release. Saturn, Moon, Sun and Venus. Exaltation of Venus in the 10th House of the Release Chart and Sun's exaltation in the 11th House of gains will play major role in case of this movie. There will be exchange between Mercury and Mars. As there are four powerful planets in the Release Time Chart, the film should ideally receive very good opening business. However, it is to be noted that Moon is exalted in the 12th House and Saturn is exalted, but retrograde. In view of the same, Ganesha feels that Purani Jeans may open with an average occupancy. The film's first weekend's business will be better than average. The first week's business will be good, though, because when the Moon enters Cancer, it will form a Trine with exalted Venus. In foreign lands, this movie is going to do well, as its Moon is exalted in the 12th House. As there is exchange between Mercury and Mars – the film should ideally attract the youngsters. However, the film looks set to fail to meet all the expectations of the youngsters as Mars is retrograde. Summarily, Ganesha feels that Purani Jeans will wind up with average or better than average business, which is a good sign considering the movie hasn't garnered much attention till now. Do you want to know what's in store for you on the career front during next 12 months? Avail Career Report 1 Year to get 100% personalised predictions by expert astrologers.